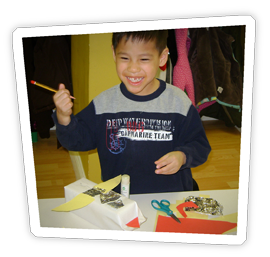 Our curriculum focuses on all aspects of child development, social, emotional, cognitive, linguistic, spiritual and physical. In addition, music skills are especially emphasized in the program. 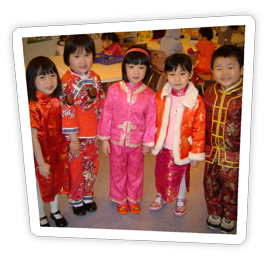 The learning environment encourages students to develop their intellect and creativity while integrating Christian values and Chinese cultures. The curriculum for the school year is based on thematic units. Jane Healey, child development expert, indicates that “forming patterns is the key to intelligence”. The Theme-Based Model encourages children to form these patterns. The curriculum includes free play, music, science, social studies and art woven into the program to enrich the student’s knowledge of each of these themes. The school promotes a nurturing, supportive, and trusting environment in which students are taught to exhibit appropriate social, moral, and interpersonal behaviours. Moreover, the students learn to develop self esteem, and respect for teachers and others, show compassion for one another, cooperate and work with one another in a group setting following given limits and expectations set by the school. 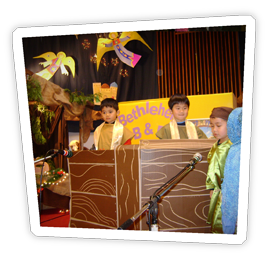 Our school is an integral part of our Church, so periodic formal presentations such as the percussion band, and Christmas pageant are given by preschool students to their parents and congregational members. The Preschool accepts children from 3 years of age because we feel this is the most critical time for children to learn social and behavioural skills. Research shows that children who get off to a good start maintain their advantage throughout their schooling. Challenging learning experiences can actually advance the level of what a child is ready and able to learn. Discipline is important during these formative years. This early training establishes a good foundation so that they will benefit in their later years. The preschool believes in the utmost safety of the children. The Presbyterian Church of Canada has established a policy for ensuring a climate of Safety for children, Youth and Vulnerable Adults. All teachers have had their criminal records checked and have gone through the policy.